Nowyousee looks ready to fire second up when he lines up in the Class 3 over 1100m on the Polytrack in Singapore tonight. The Lee Freedman-trained runner returned in good order with a second placing to Country Boss over 5 f last start and he should improve on that effort today. When second up last campaign, the four-year-old gelding scored a nice win over 5 f in a Class 4 on the Pollytrack and fairly lightly raced is building a very nice career record. The only time Nowyousee has missed the placings was when midfield in Group 3 company behind Be Bee prior to a spell last campaign and he certainly rates clear of his rivals today. 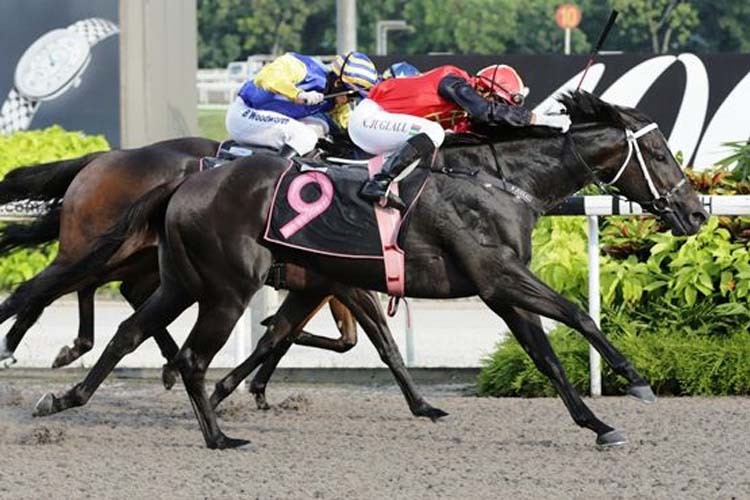 The last time the son of O’reilly stepped out over 5 1⁄2 f was when third to Distinctive Darci in a Kranji Stakes A last campaign and that formline is very strong for this company today. Nowyousee is certainly a very talented, progressive horse who will be looking at bigger targets this preparation and despite the wide draw I expect Daniel Moor to roll forward and take plenty of running down. Cousteau comes out of the same Class 3 race last start when third, only a half length away from Nowyousee on that occasion and he has run well over the 5 1⁄2 f trip previously. Likely to get a better run than Nowyousee up on the speed from barrier 5 and with the apprentice claim again he gets in pretty well. Slight concern with only two wins from 12 career starts but he has shown enough to suggest he will be very competitive in this race today. Lord Of Cloud also comes into consideration having not been too far away in recent times, fifth in his last two outings over further ground. Drops back to the 5 1⁄2 f today and from the good draw he can certainly make his presence felt in this company. Himalaya Dragon will relish the step up to 5 1⁄2 f today where she has won on three previous occasions. Found the 5 f a bit short last start but did place behind Filibuster and Mokastar in the two runs prior over this C/D and those formlines ready pretty well in this. Should find a nice spot off the speed from barrier six and would not be surprised to see her make his way into the finish.